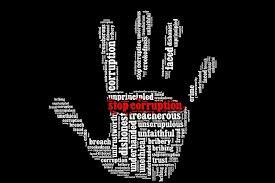 Government officials booked in cases of corruption may soon find it difficult to wriggle out even if they manage to destroy the digital evidence of bribe collection or the money trail. Officials of the Directorate of Vigilance and Anti-Corruption tasked with probing instances of corruption in government, will now be able to understand the digital evidence, analyze and interpret it using the technology from a Rs 6.4 crore state-of-the-art cyber forensics lab that is to come up short. The technology harnessed by the DVAL sleuths will also ensure that the government officials concerned will not be able to get tip-offs from friends in the city or state police if any. Young investigators will get hands-on training in cyber forensics at the lab. Sanction for the facility, the third cyber lab in the city after those at the police commissionerate and the CB-CID office, was accorded at the end of the just-concluded session of the state assembly. The lab will be equipped with software like video analysis tool, file carving and imaging tools, email extraction software, data extraction bundling and password decryption software. It will also have high-end laptops and a forensic server with high capacity storage as DVAC investigators will have to mine huge amounts of data. A GPS-enabled forensic software, which will be able to give details on the location of the accused at any given time, is also part of the package. Sources said that unlike their counterparts in the city or the state police, DVAC officials has to collect and analyse evidence before filing the case. The police, one the other hand, begin their investigation only after registering a case. The DVAC currently relies on other cyber labs and the chances of information leaking out are high and could be risky given the high profile nature of certain cases, sources said.